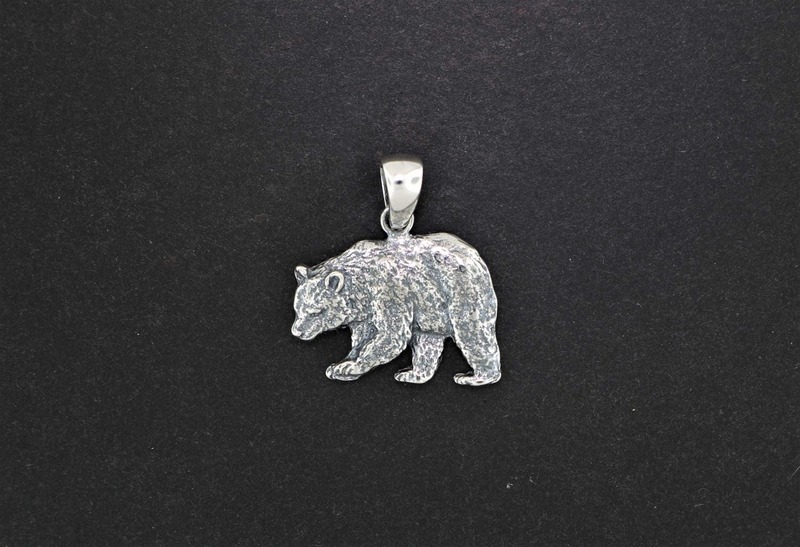 This is a handmade sterling silver bear pendant. It is a flat design with the illusion of 3D effect and measures 2cm long and 2.3cm wide. The bail can vary from one piece to another. This pendant is also available in antique bronze. Very pleased with this beautiful little bear! I am absolutely obsessed with this piece, exactly what I was hoping for! Charmant ours bien détaillé! Merci.